Last winter, I went gluten-free as an experiement. I was struggling with rosacea symptoms and was hoping that a gluten-free diet would help alleviate my symptoms. For six weeks I followed a strict gluten free diet.Although I didn't see a vast improvement in the redness on my face, I did notice other significant changes to my body and my overall disposition. I am convinced that all of us has some sort of gluten intolerance. How can that much gluten be good for our stomachs? I have slowly been introducing gluten free foods to my family in an effort to make our diets more healthy. 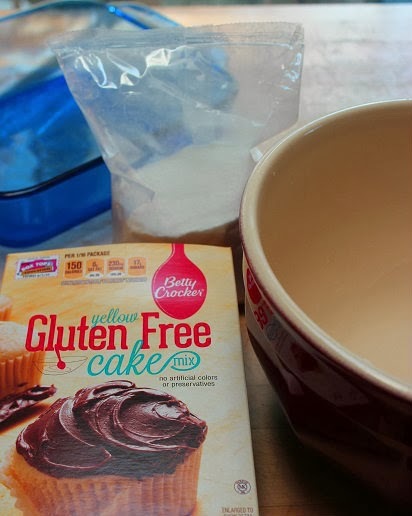 This weekend the girls wanted to make a cake, and so we tried Becky Crocker's gluten free cake mix as an alternative to traditional cake mix. We prepared the cake according to the package directions. The box stated that we should use 2 teaspoons of gluten-free vanilla extract. I thought all vanilla extract was gluten-free, but I decided to Google it to be sure. Since the alcohol is vanilla extract is distilled, most vanilla extracts should be free of gluten. I know for certain that McCormick's and Nielson-Malley are gluten-free. But to be sure, read the packaging. We frosted the cake and dug in! There was absolutely no difference in taste between the gluten-free cake and a traditional one. None at all. 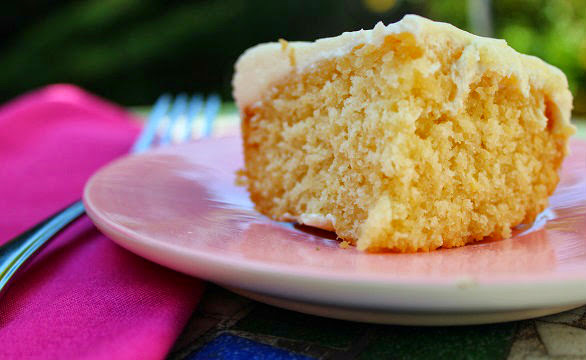 The Betty Crocker gluten free cake was moist and delicious! I am so happy we tried this cake mix! We now have a mix that we can use for birthday treats since there is a child in my daughter's Girl Scout troop and school classroom with celiac disease.